Meeting our customers face to face. More than 5,000 people from 30 different countries and all 50 states will be attending the conference at the Orlando Convention Center. We cannot wait to see our current DiagnostX customers and meet future ones who are considering our solution for their land mobile radio systems. Showing off our products. LocusUSA will in booth #1720 demonstrating how DiagnostX verifies and analyzes the alignment and field performance of portable and mobile radios over-the-air (OTA) in real time 24/7. Speaking in the Professional Development Tracks. Jim Zaleta, sales and marketing manager and Joe Rey, managing partner are pleased to be presenting “Radio Maintenance: Using DiagnostX to Identify At-Risk Radios Long-Range, Over-the-Air, System-wide” on Aug. 15 at 4:20 pm in Room W204AB. Checking out the car show. At least one of us is intrigued by the beauty and lines of antique and modern public safety vehicles that will be on display. We’ll be sure to put a photo on Instagram with #APCO2016. Getting out of the office. We are fortunate our office is located on the Space Coast of Florida so traveling 66 miles via I-95 and the Beach Line to the two-million-square-foot convention center will be a pleasant getaway. 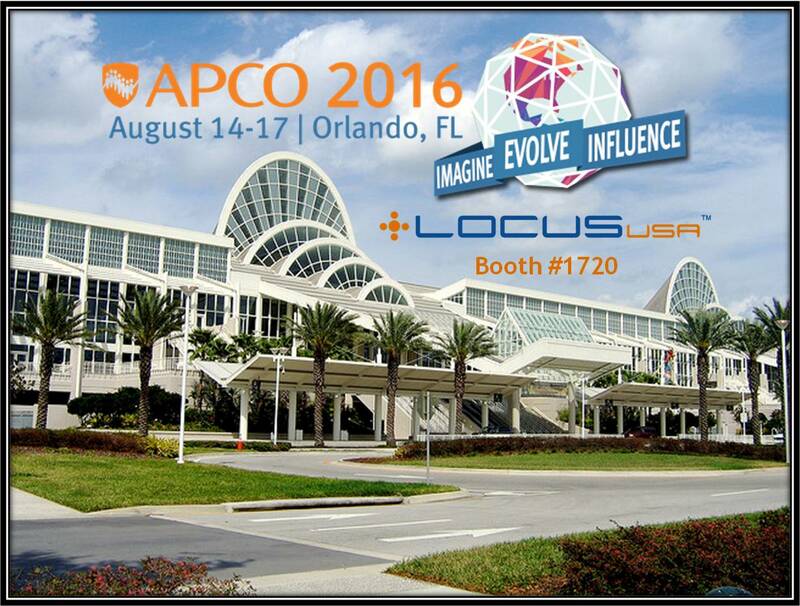 What are the reasons you are eager to attend this year’s APCO 2016? Feel free to comment below or stop by our booth to tell us in person. We look forward to meeting you!